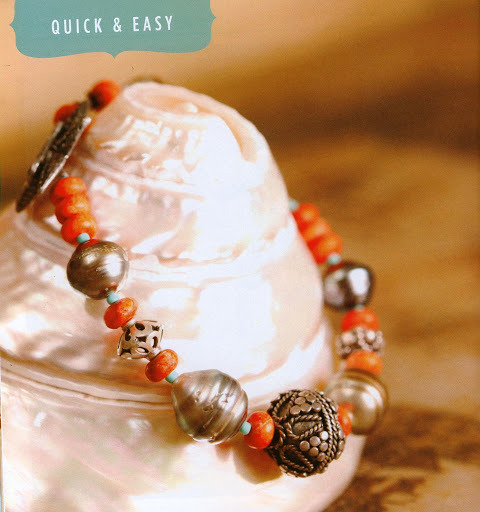 Check out my latest design in the May issue of Bead Trends Magazine. I love this design because it uses Tahitian pearls. I purchased a short strand from Soft Flex quite awhile back and waited to use them in just the right design. I also love the mixture of blues, grays and oranges.